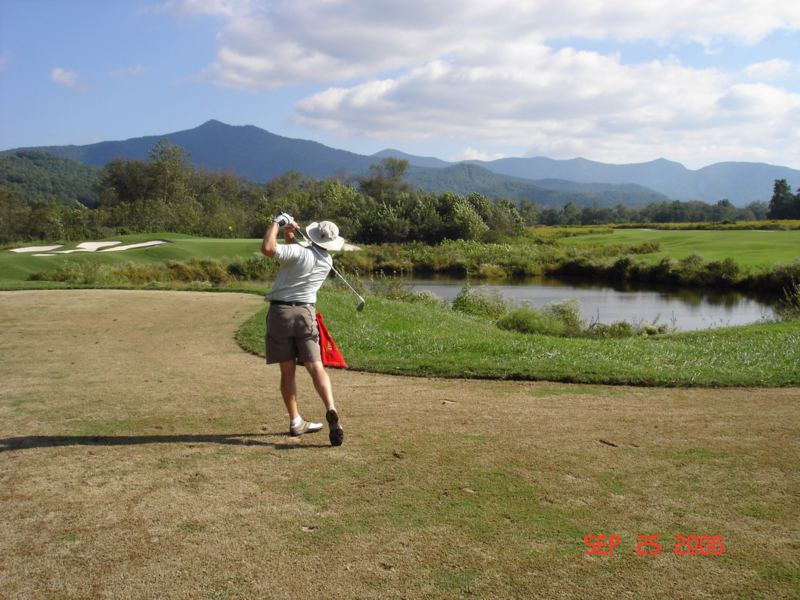 This is Brasstown Valley. Located in Young Harris, GA.
A magnificent Denis Griffiths layout in the N. Georgia mountains. We played 36 holes that day. 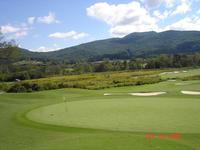 The dew was heavy for the first round, as this course is high-up in the Blue Ridge mountains. We played the Teal tees, which were anywhere from 6400 to 6500 yards (depending on where the frisky turtles (see earlier post) were pointing). I shot 92 the first round, but came back with an 85 on the second round (and collected my dough..thank-you Nick!). There was no humidity, which made it very pleasant. 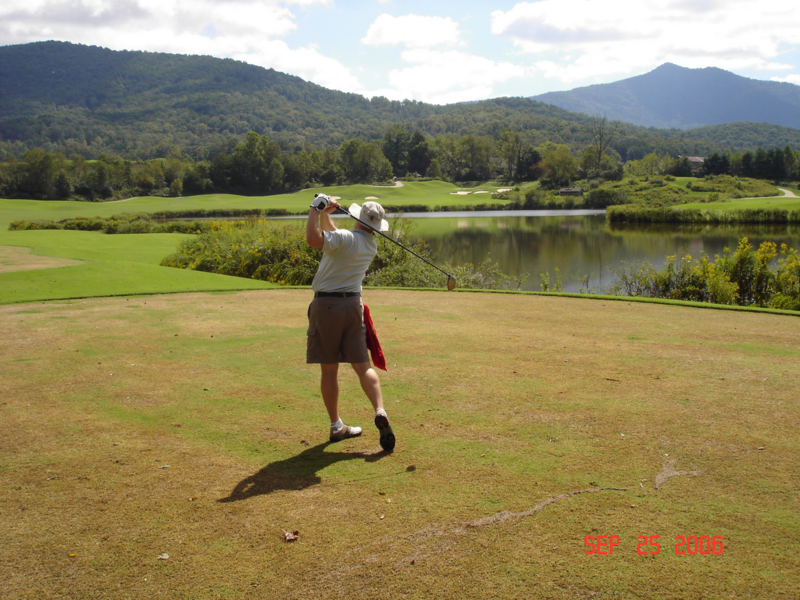 Brasstown is a mountain resort. Built when Govenor Zell Miller (Zell's hometown) provisioned a construction project within a superfund bill passed by congress. 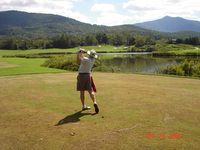 Some call that pork-barrel spending....but after you play the course, you don't mind that your tax-dollars paid for it. The lodge is mammoth, the service is fantastic, and the course is unbelievable. We used an award that my buddy had won from an earlier tournament, so we played 36 holes for $60 each! Somehow I think I got my tax money back.